1. Historic and iconic. 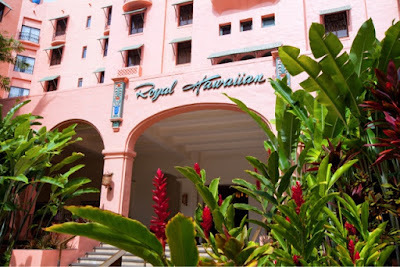 Opened in 1927, one of the first hotels established in Waikiki, The Royal Hawaiian is known as The Pink Palace of the Pacific. Equally rich in history and culture, The Royal Hawaiian is easily recognized as one of the most luxurious and famous hotels in Hawaii. 2. Location. Located in Waikiki near the beach, shops, and restaurants, The Royal Hawaiian is also just tucked away enough for you to be able to escape the hustle and bustle if you desire. 3. Swimming at the Helumoa Playground. 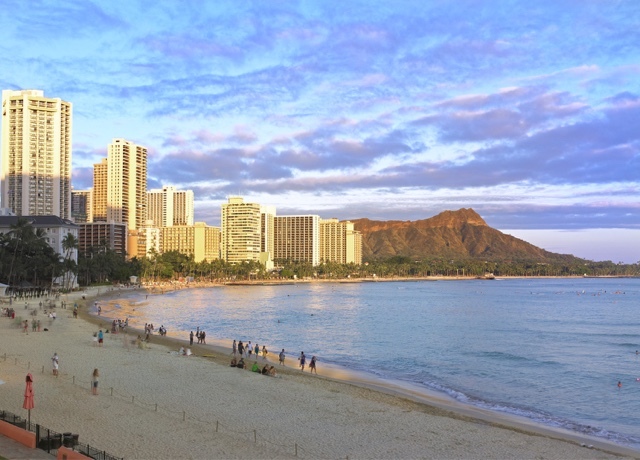 Shared with the guests of the Sheraton Waikiki, the Helumoa Playground features two fresh water swimming pools, a 15-foot high by 70-foot long water slide, two large whirlpool spas with sweeping views of Waikiki Beach, and an interactive fountain area for kids! I just know my two water babies are gonna love it! 4. 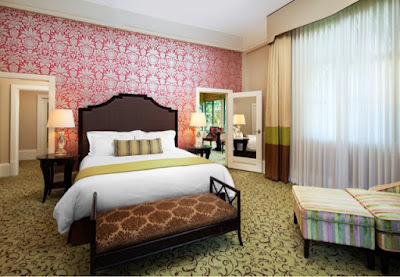 The Rooms! When you stay in one of The Royal Hawaiian's 528 rooms, you will get spectacular views of the Pacific Ocean or lush tranquil gardens. The best part is the freshly baked banana bread that greets you upon your arrival. 5. The Beach. Guests of The Royal Hawaiian have access to a pristine stretch of private beach. As a parent of young children, it is definitely a perk to have your kids play safely in a secluded space. 6. Kid Friendly Dining. Did you know kids under the age of 5 eat free when ordering off the kids menu and with a paying adult? Talk about family friendly! 7. 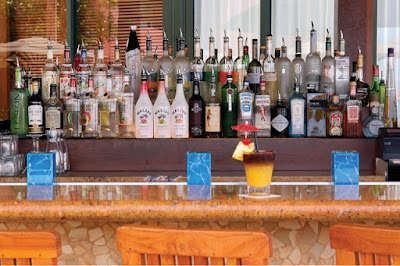 Specialty Mai Tais at the Famous Mai Tai Bar. 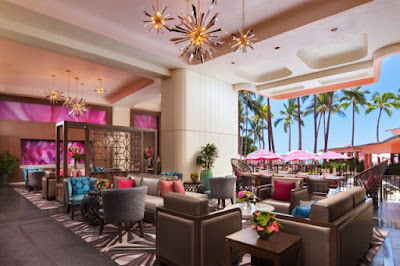 Situated on the beach, the legendary Mai Tai bar offers guests a haven to relax to live music while enjoying a refreshing cocktail. The Mai Tai bar offers lunch and dinner menus and I am excited to play tourist and sip on one of their four varieties of specialty Mai Tais! 8. Breakfast at the Surf Lanai. 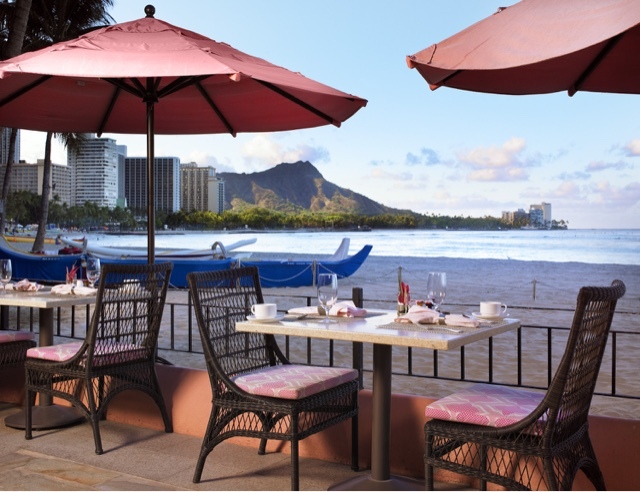 I can't think of a better way to enjoy breakfast than right on the beach overlooking a charming sea of pink umbrellas. I've studied the menu and the Royal Loco Moco with port wine braised short ribs is calling my name. Another that jumped off the menu at me is the Banana Bread French toast with macadamia nuts, bananas foster and Koloa rum. Wow! Very exciting! 9. 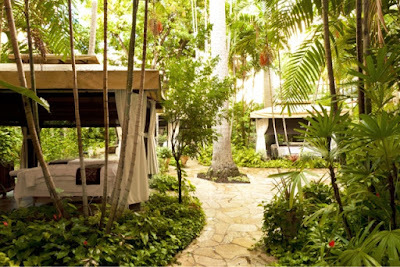 Massage in an outdoor cabana at the Abhasa Spa. Where else in Honolulu can you receive luxurious spa treatments in a serene tropical garden setting in your own private cabana? Nowhere else. I cannot wait to relax and rejuvenate with the abhasa harmony massage - a Hawaiian inspired Lomi Lomi massage infused with Japanese Shiatsu. 10. A Luxury Collection Resort. 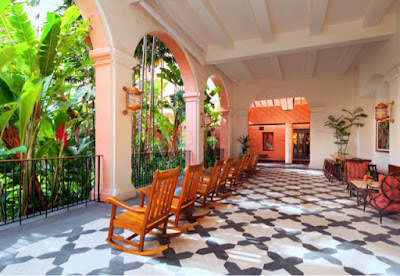 The Luxury Collection is a selection of hotels and resorts noteworthy for their history, art, architecture, furnishings, and amenities. Today, The Luxury Collection is an ensemble of more than 75 of the world's finest hotels and resorts in more than 30 countries. That's pretty amazing! 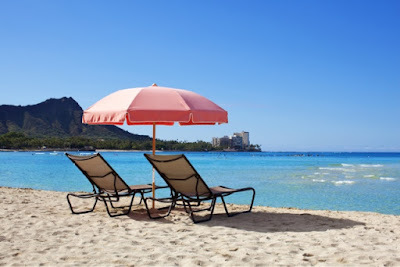 Read more about The Royal Hawaiian, a Luxury Collection Resort here. I fully agree with all of them and add another one: all the crew is superb!! Thank you for adding! Agreed!